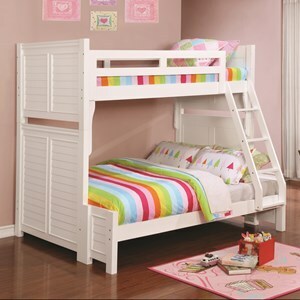 Add a fun sleeping solution to your child's bedroom with this casual wooden bunk bed. 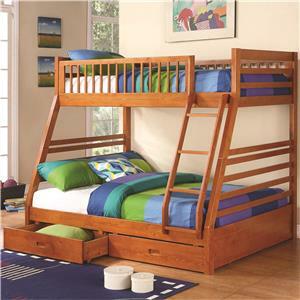 Whether your child shares a room or is always having friends over for sleepovers the bottom full bed and top twin bed provide plenty of sleeping space. 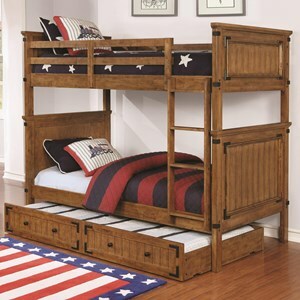 The Coronado Bunk Bed Casual Wooden Twin over Full Bunk Bed by Coaster at Value City Furniture in the New Jersey, NJ, Staten Island, Hoboken area. Product availability may vary. Contact us for the most current availability on this product. 460117B1 T/F Bunk Bed Box 1 1 0" 0" 0"
460117B2 T/F Bunk Bed Box 2 1 0" 0" 0"
460117B3 T/F Bunk Bed Box 3 1 0" 0" 0"
Finish This bunk bed features a rustic honey finish that will fit in in almost any child's bedroom. Handles & Hardware The hardware on this piece comes in a black finish that perfectly accents the finish of the wood. 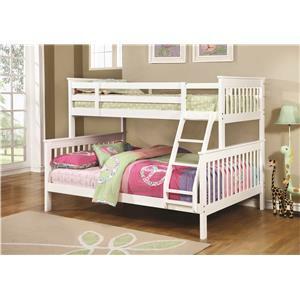 Storage The storage trundle can be used either as a place to store clothes or toys, or as a mattress ready trundle. Bunk Bed Construction Constructed with rubberwood, MDF, and rubberwood veneer. 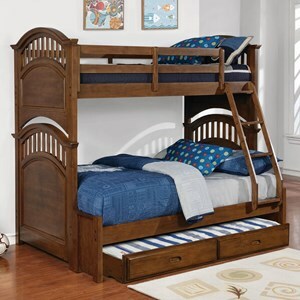 Add a fun sleeping solution to your child's bedroom with this casual wooden bunk bed. 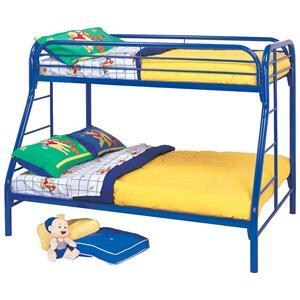 Whether your child shares a room or is always having friends over for sleepovers two beds and an optional trundle unit provide plenty of sleeping space. 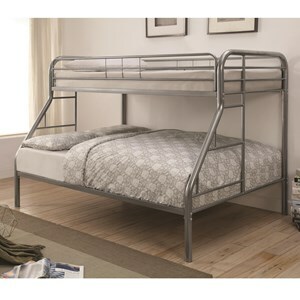 The trundle unit can also be used as storage if your child needs extra space to store clothes or toys. 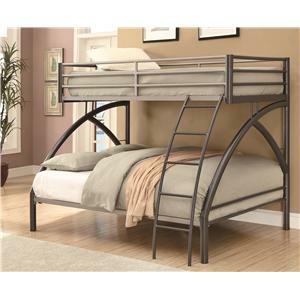 The Coronado Bunk Bed collection is a great option if you are looking for Casual furniture in the New Jersey, NJ, Staten Island, Hoboken area. 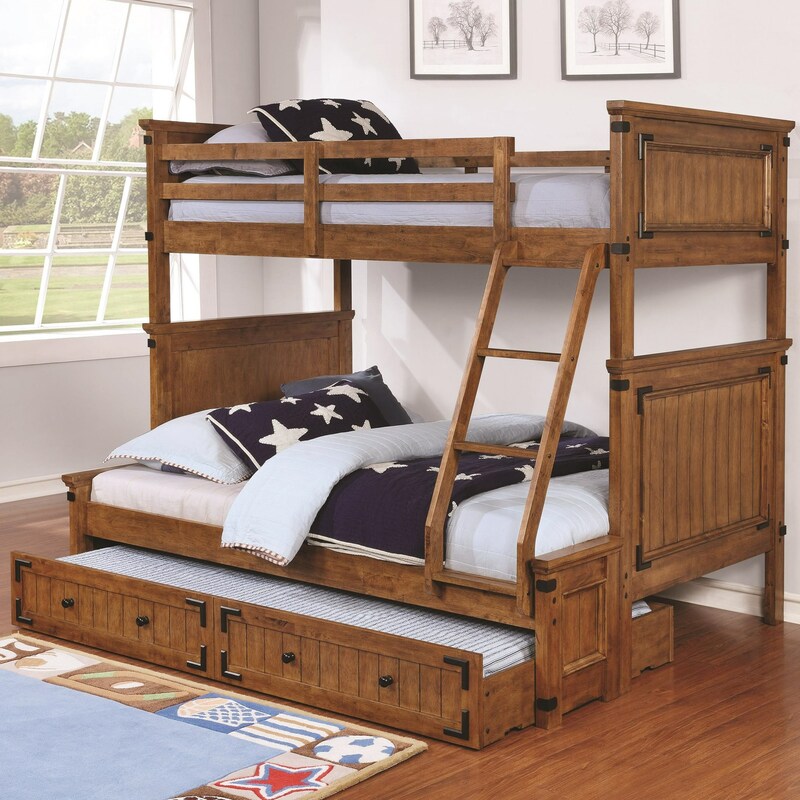 Browse other items in the Coronado Bunk Bed collection from Value City Furniture in the New Jersey, NJ, Staten Island, Hoboken area.